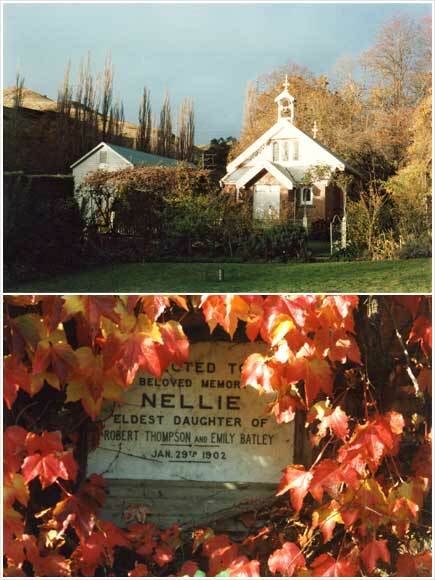 This chapel was built at Moawhango in 1902 by settlers Robert and Emily Batley. Constructed from locally made bricks, it was a memorial to their daughter Nellie, who had drowned at Port Chalmers, Otago, in 1899, aged 21. Tragically, the Batleys’ son Robert was to drown in the Moawhango River in 1903, also at the age of 21.